It wasn’t too long ago I told you guys about an accessory for your Android device that, when combined with the power of your Sony PlayStation 3 Sixaxis controller, transforms your device into a self sustained mini-console. It’s called the GameKlip and I know I wasn’t the only one anxious to get my hands on one. 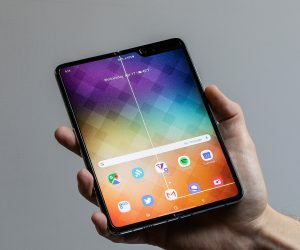 Many of our readers were also intrigued by the idea of the GameKlip, even though some were a bit more apprehensive about throwing down their hard earned money on a piece of plastic. Would it even work? How do you get the Sixaxis controller paired with the Android device? These are all questions I’ll be in answering in my review for the GameKlip. When you order your GameKlip, it will arrive inside a simple ziplock bag and if you’re real lucky, Ryan French — the guy who makes the GameKlip — will even throw in a complimentary roll of sweet tarts. It’s a nice, down-home touch and reminds you this ain’t some big, cold, corporate corporation that just wants your pennies into their bucket. 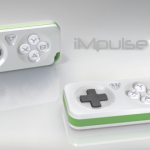 The GameKlip is available only for a handful of devices (detailed on their site) and comes in 2 versions — wired and wireless. 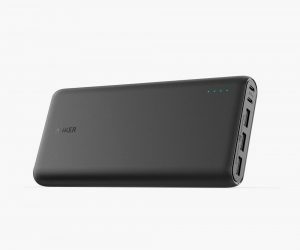 The wired version works out-of-the-box with a few Android devices and quickly connects your device to the Sixaxis controller via a USB on-the-go cable. Once connected, everything will/should work like magic without the need for root or other funny business. The wireless model, however, is a bit more tricky. Wireless requires a separate paid application from the Google Play Store (not in any way affiliated with GameKlip), another program you’ll need to install on your computer (to pair the controller), and root permissions on your device in order to get everything up and running. It was a long drawn out process and definitely not the most user friendly set up ever. But as I mentioned in my review video, can’t knock the GameKlip for a finicky app they didn’t create. I can’t stress this enough: the GameKlip isn’t being massed produced by some large accessory manufacturer like MadCatz or Nyko. Definitely more of a mom n’ pops operation, think of this more like that old timer who grows and bottles his own jam at the county fair. 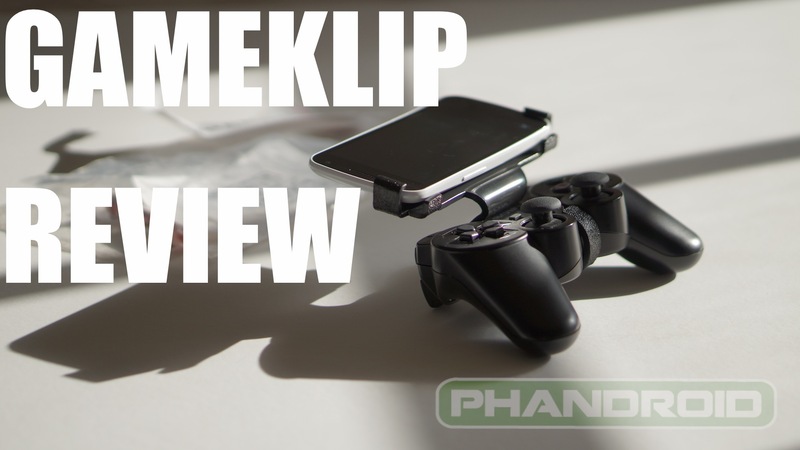 When it comes to build quality, essentially the GameKlip is a big hunk of crude plastic, molded to fit onto a PS3 controller, without clasps to secure your phone to it. 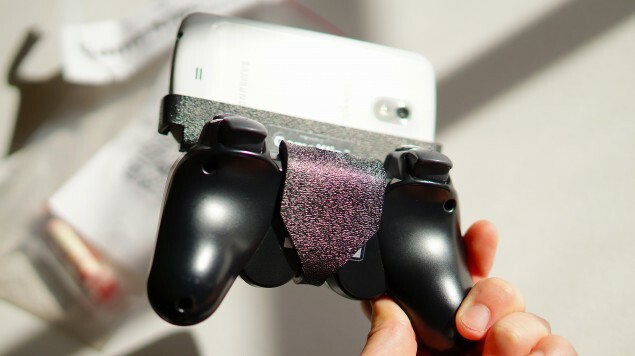 There are no moving parts or joints, it definitely wont fit in your pocket, it’s not the best quality plastic, there are no soft touch finishes or padding — just a simple solution that solves a problem with Android gaming. So how well does it function? Let’s get to that. The top of the GameKlip where you’ll be mounting your device features felt along the clasps to keep the plastic from scratching your device, and to provide for better hold. I can’t help but wonder if rubber wouldn’t have been better suited, but the felt gets the job done (just barely). The glue that holds the felt into place is far from permanent and it’s easy to imagine that somewhere in the future, they’ll fall off and get lost forever. Of course, replacing the felt isn’t exactly difficult and just about everyone’s got some super glue in a junk drawer should it ever come to that. I didn’t like how some of the gooey glue transferred onto my device, but it came off without too much fuss so it’s hardly worth mentioning. 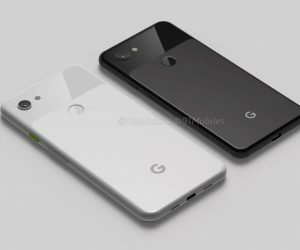 The only real problem I had with the GameKlip’s design is that it didn’t hold onto the Galaxy Nexus as shown in the creators promo video (using a different device). 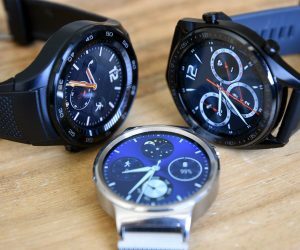 GameKlip’s website has you choose your specific Android device for best fit, but that didn’t seem to matter much when it came to the Galaxy Nexus. 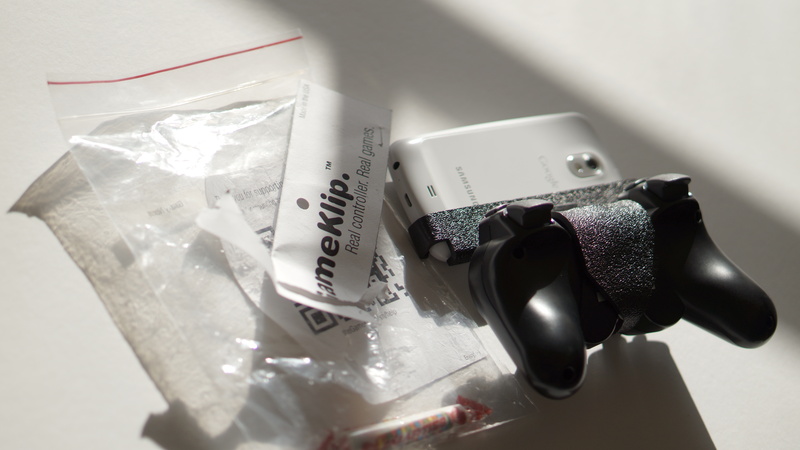 The left handle of the GameKlip was never able to get a very good hold of the Galaxy Nexus (where the top of the device tapers off and gets really thin) and with a little shake, the Nexus slips right out of the GameKlip. The only time this would ever be a an issue is if holding the controller and device upside down, which unless you’re a trapeze artist — will probably be a rare occurrence. Again, it’s only because of the odd shape unique to the Galaxy Nexus that this was even an issue, but could have been easily been fixed if the grips were just placed up a little higher on the device and/or made of rubber. Keep it upright and all’s fine. For those that don’t want to be bothered by the hassle of carrying around (or losing) a separate USB dongle, wireless is definitely the way to go. Unfortunately, as I mentioned before — you’re going to need a rooted Android device for it to work. If yours fits that bill, the Sixaxis controller can be paired using a variety of methods and with a few apps found in the Play Store. 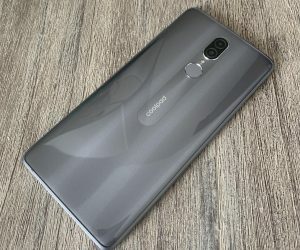 None are really as simple as “install and go,” with most requiring the downloading of separate software to a desktop computer in order to pair the controller with your phone or phablet. Ultimately, going wireless involves more steps and some additional money as well; given apps like “Sixaxis Controller” cost around $2 to download from the Play Store. Stay tuned for a full walkthrough video and post in the future for getting everything set up (I’ll also update this review with the video). While the GameKlip is far from perfect, in a way, it’s almost not meant to be. It’s simply a quick and easy solution for Android gamers who need a little more precision from their smartphone while gaming on-the-go. Really, the the design and concept of the GameKlip can only go up from here. Can’t say I would be surprised to find other, big named manufacturers jump on a similar design of their own. Honestly, I’d recommend the GameKlip to anyone who plays more than the occasional Angry Birds on his phone. If this review sold you on the GameKlip, you can get your own — $15 for the wireless, $22 for the wired w/dongle) via the GameKlip website (linked below).